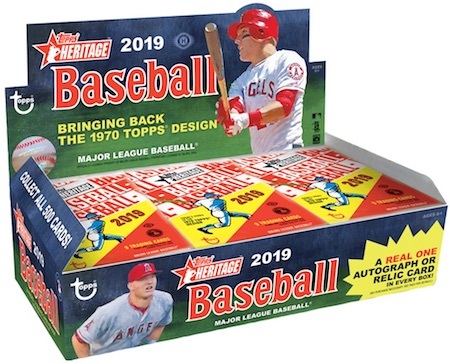 The new baseball season kicks off with MLB Opening Day and it seems like a great time to give away some free Hobby boxes to our amazing readers! 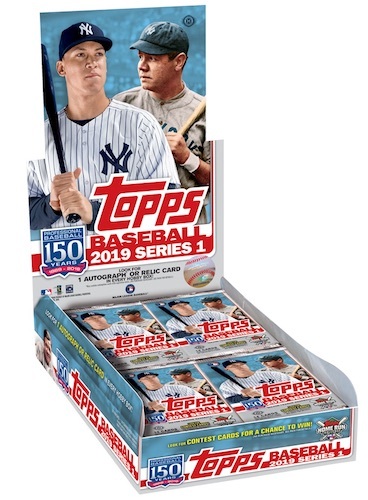 The two Hobby boxes we are giving away include 2019 Topps Series 1 Baseball and 2019 Topps Heritage Baseball. You must enter using the Rafflecopter widget below. See the full details and a checklist for each set at the links above. The contest closes at midnight on Thursday, April 4 and the winners will be selected and notified Friday morning. Also, be sure to sign up for our newsletter to stay on top of all the latest card and collectible information. Good luck to all and thanks for visiting the site! WHIT MERRIFIELD 2019 Topps Series 1 1984 AUTO RED Parallel #15 25 Jersey Number! 2019 Topps Heritage Fred Stanley "Inaugural Brew Crew" on card auto autograph !! 2019 Topps Heritage Real One Autograph of Al Kaline Blue Ink. #ROA-AK. 2019 Topps Heritage Real One Auto. Mystery Player (B) Unredeemed Red Ink N.Ryan?